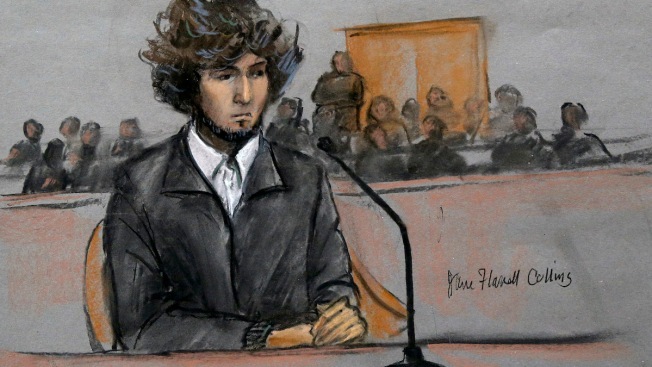 More prospective jurors in the trial of Boston Marathon bombing suspect Dzhokhar Tsarnaev are set to be questioned even as Tsarnaev's lawyers ask a federal appeals court to order the judge to move the trial outside Massachusetts. Jury selection is scheduled to resume Wednesday after a two-day delay caused by a storm that dumped a foot of snow across much of Massachusetts. O'Toole has questioned 114 prospective jurors over nine days. On Tuesday, Tsarnaev's lawyers asked a federal appeals court to order O'Toole to move the trial. They argued that jury selection so far has made it clear that Tsarnaev cannot get a fair trial in Massachusetts because many people already believe he is guilty and have personal connections that make it impossible for them to be impartial.